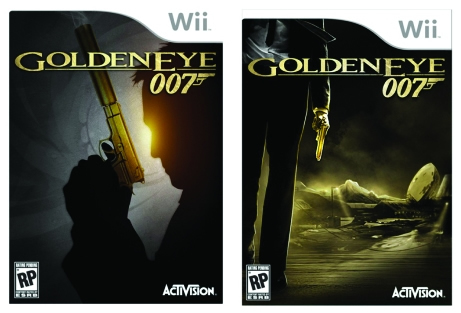 Play GoldenEye Wii - Is this actually going to happen now? GoldenEye Wii - More than just a rumor - Thanks Activision! Activision bring Wii owners the best shooter they've ever had. GoldenEye Wii is the best shooter game on the Nintendo Wii and we have the inside scoop. There is plenty of discussion about best control scheme and also players are using our blog as a meeting place. Need to find other GoldenEye WIi players? We recommend you check out the comments section of our blog and you will find active and current players who love the game also. Sure GoldenEye Wii isn't the original N64 game. However, it's a fun game in the GoldenEye movie world and there are some familiar sights and sounds which will take you back to the original. The fact is with all the legal issues around the James Bond license, we don't expect the original game to ever see the light of day. Nintendo isn't open to having the game on multiple systems and they hold onto their property tighter than any other gaming company out there. So be happy with GoldenEye Wii. It's as close to the real thing as you're going to get! Check out this trailer! It's not the GoldenEye N64 that you might be expecting. It truly is GoldenEye Wii and looks like a new game altogether. 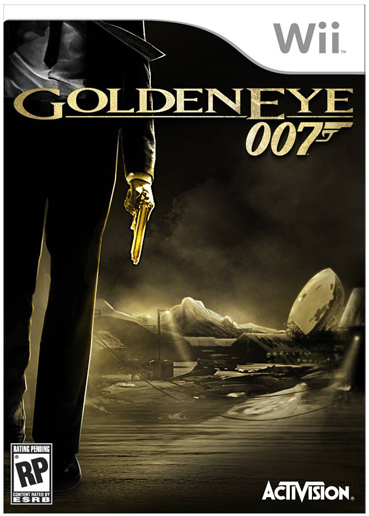 There is a lot of talk about GoldenEye Wii coming in 2010. We want it and Nintendo must realize it. Remember a few months ago about GoldenEye showing up on Xbox Live Arcade? Nintendo didn't want that to happen. Perhaps now, Activision who holds the James Bond license, has been able to get the parties together and hammer out a deal. The reasons for the rumors are that there was a recent job posting from a graphic animator who mentions having worked on a GoldenEye game for the Wii with a release date sometime in 2010. That resume has since been removed. No official word has been mentioned from either Nintendo or Activision. This could have been a very big mistake for that animator because there are a lot of confidentiality agreements when it comes to new video games. A big oops. However, this slip up bring us great hope for GoldenEye Wii. We will keep all the details of GoldenEye on Wii as they become available. My prediction is, an agreement between Microsoft, Activision and Nintendo. GoldenEye Wii and GoldenEye N64 were simply made to be. GoldenEye forever is simply not a dream. I expect this to be a reality in 2010. This was the video that was released, that was apparently the Xbox Live Arcade version of GoldenEye N64. They had been working on it and this video does seem authentic. GoldenEye Wii would be equally impressive I think.